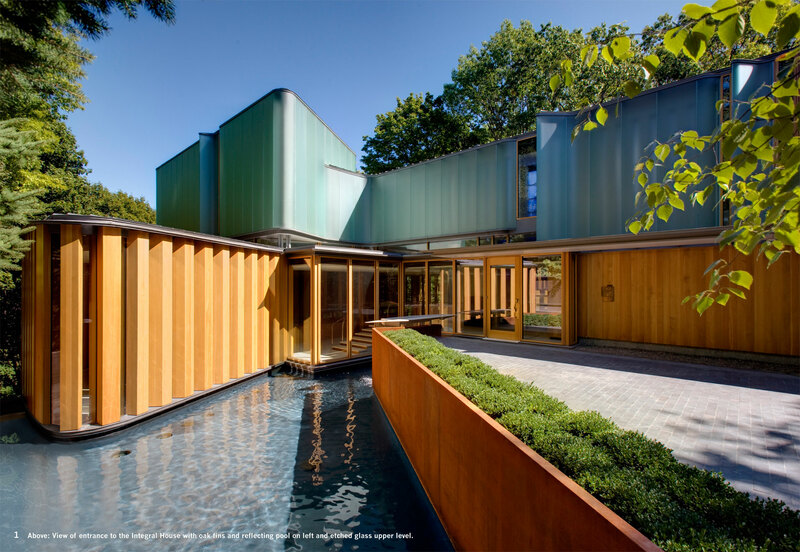 The Integral House is a place for architecture, music, and performance located at the edge of a Toronto ravine. From the street, one sees a two-storey building with a translucent, gently shaped etched glass skin sitting on top of a wooden base. 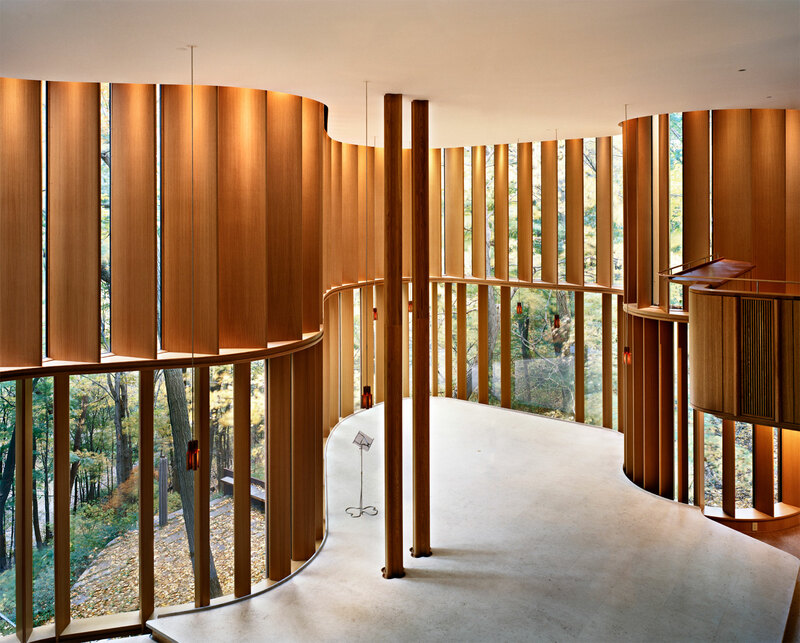 These serpentine walls of glass separated by oak fins form the gentle perimeter of the house, echoing the undulating contours of the valley and the winding pathways of the native forest. The key moment in the project is a performance space for 150 people located a floor below entry level and visually intertwined with the ravine landscape. 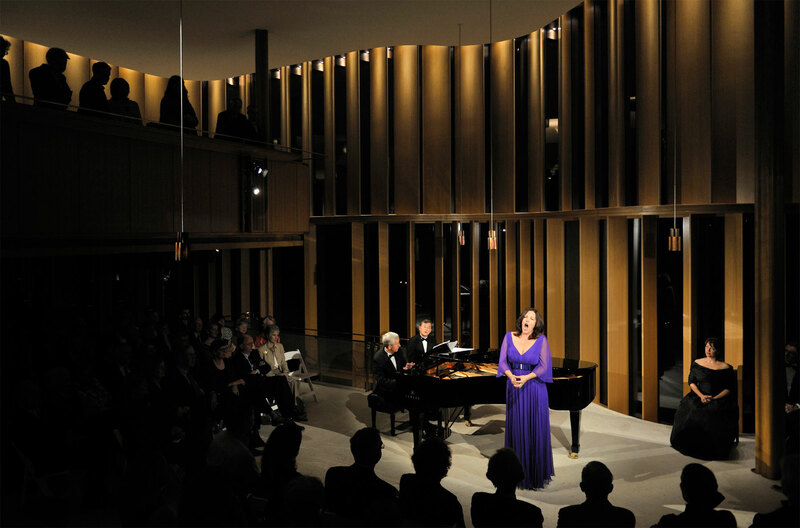 "A genuine ‘gesamtkunstwerk’ in which individual parts combine to create a resonant and beautiful whole. 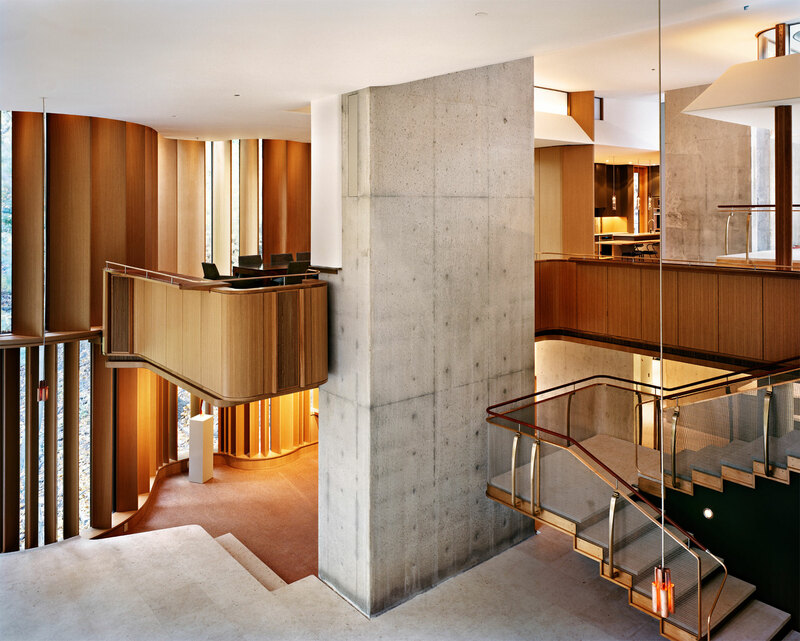 Standing out as a new landmark in Canadian domestic architecture, the house is a tour-de-force of elegance and expressiveness. 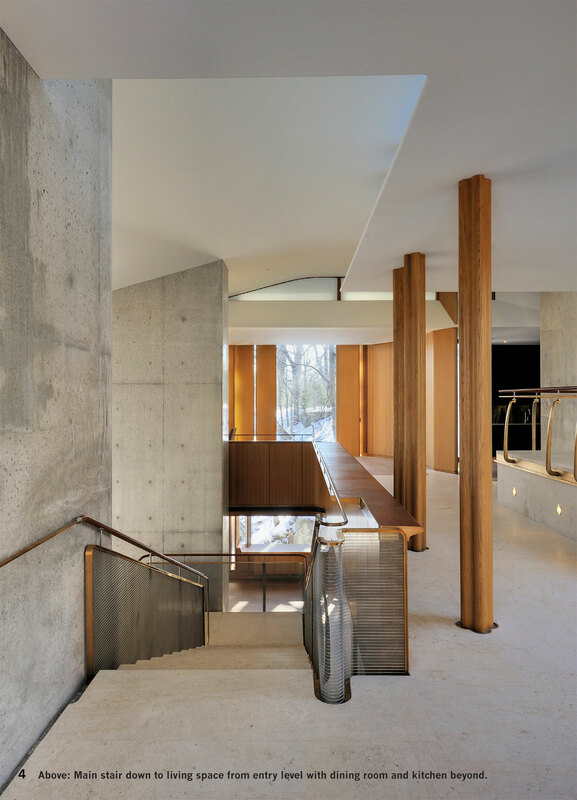 The intimate relationship with site and landscape, lyrical play of light and intense focus on how things are made and put together makes this a superlative achievement that extends the pioneering role of the private house in modern architecture."